Hurricane is among the most disastorous events to happen on the earth. And, since the Hurricane Florence is closing in we got to stay prepared for it. This article is meant for Veterinarians & the stakeholder of Veterinary Clinics across the world to stay prepared for the inevitable and minimize the casualties. A tropical cyclone is a rotating low-pressure weather system that has organized thunderstorms but no fronts (a boundary separating two air masses of different densities). Tropical cyclones with maximum sustained surface winds of less than 39 miles per hour (mph) are called tropical depressions. Those with maximum sustained winds of 39 mph or higher are called tropical storms. When a storm's maximum sustained winds reach 74 mph, it is called a hurricane. The Saffir-Simpson Hurricane Wind Scale is a 1 to 5 rating, or category, based on a hurricane's maximum sustained winds. The higher the category, the greater the hurricane's potential for property damage. Hurricanes originate in the Atlantic basin, which includes the Atlantic Ocean, Caribbean Sea, and Gulf of Mexico, the eastern North Pacific Ocean, and, less frequently, the central North Pacific Ocean. A six-year rotating list of names, updated and maintained by the World Meteorological Organization, is used to identify these storms. Hurrican Florence is currently a very dangerous Category. 1. What is VETport doing to prepare for Hurricane Florence? We are reviewing server systems in the Northern Virginia Amazon region and preparing contingency plans in the event those systems are impacted. 2. How can your VETport clinic prepare? 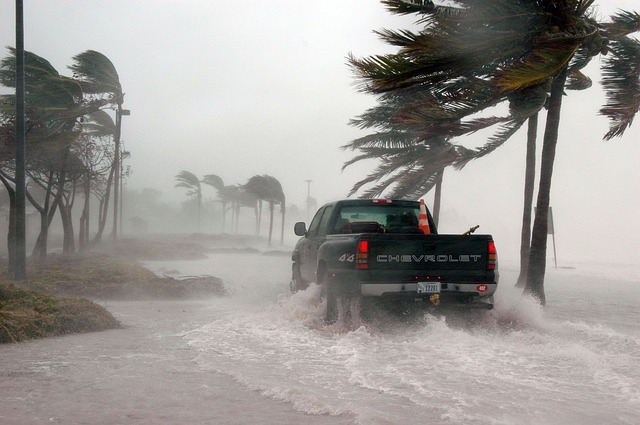 The last major Hurricane to significantly impact VETport clinics was Sandy. VETport clinics were able to get information systems up and running quicker than others because they did not need electricity at the clinic or cable to reach VETport. Clinics were able to get to their VETport system via Cell Service. Emergency services appear to get Cell service established before most others. Here are some suggestions for accessing VETport via Cell service. A) If you have electricity at the clinic but no cable be prepared to access VETport with a hot spot. Keep the VETport emergency support number handy 513-499-2300. B) If you don't have electricity use charged devices like phones and tablets to access VETport via direct cell service or hot spots. Keep the VETport emergency support number handy 513-499-2300. Stay prepared to attend unusually high number of pets coming in to your hospital/clinic during the hurricane. You may expect your emergency rooms be filled with dogs who had been bitten by other dogs, and cats who also suffered dog bites. As people evacuate along with their pets, they sometimes stay with friends and relatives who have their own pets. One dog doesn’t always realize another dog has been welcomed into the home, and that’s when the snarling and snapping starts. Delivery services may be impacted and pharmacies closed. Stock critical medications and fluids now. Advice your pet-owner clients to stay with friends or family where they and their pets will feel welcome. Or at very least, they can supervise pets closely and consider keeping them in separate areas of the home they are visiting. Bringing a crate for the pet also can be helpful. We notice a surprising number of dogs and cats go through urinary obstructions, a serious and sometimes life-threatening condition. But why would this happen during a hurricane? Because when you’re boarding up windows and trying to escape a dangerous storm, it’s easy to overlook something as mundane as setting out your pet’s water bowl. Plus, all that activity is likely to stress out your pets. Stress plus dehydration make pets more susceptible to urinary issues including blockages.